Samoëns is part of the Grand Massif ski domain, which consists of five resorts: Flaine, Samoëns, Morillon, Sixt and Les Carroz. While there has been recent development in the area, Samoëns has maintained its rustic charm. In fact, Samoëns is the only resort in France to be designated a historical monument. There are medieval fountains, nine chapels dating back to the 15th century, and many other shrines and rustic buildings. Samoëns has a long tradition of stonecutters, and evidence of that is visible everywhere. It is a charming old village with many attractions besides its ski slopes and is delightfully small and uncrowded compared to the main French resorts. It is also cheaper, which is a big draw. 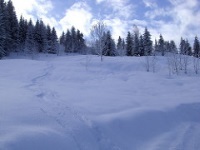 Skiiers of all skill levels will find something to suit them in Samoëns; the vertical rise is steep which is great for the more advanced but there are gentler slopes for beginners and it is not a bad resort for families with varying skill levels. The longest run is the eight mile (14km) Les Cascades, a blue route from Grandes Platières to Sixt via the lovely Lac de Gers. Experts will enjoy the Gers bowl, with a 2,624 foot (800m) drop of untracked skiing. 80 percent of the slopes are north facing, so they hold the snow well. There are more than 25 restaurants in this little resort, offering a variety of cuisines and ranging from expensive to budget. There isn't much nightlife to speak of in Samoens, but there is at least one nightclub for those who want to dance, and Covey's Irish Pub is popular with expats. There are fewer high-tech amenities in Samoens, but many fun activities visitors won't find in other resorts, like horse and carriage rides, farm tours at the Ecomuseum Farm le Clos Parchet, and the nearby national park, Cirque du Fer-a-Cheval, which offers activities like whitewater rafting, kayaking, hiking and mountain climbing. The town also hosts a weekly market, and there is a public pool and waterslide which contributes to Samoëns' popularity as a summer destination. As a smaller resort there are fewer skiing amenities and you cannot ski directly back to the village.